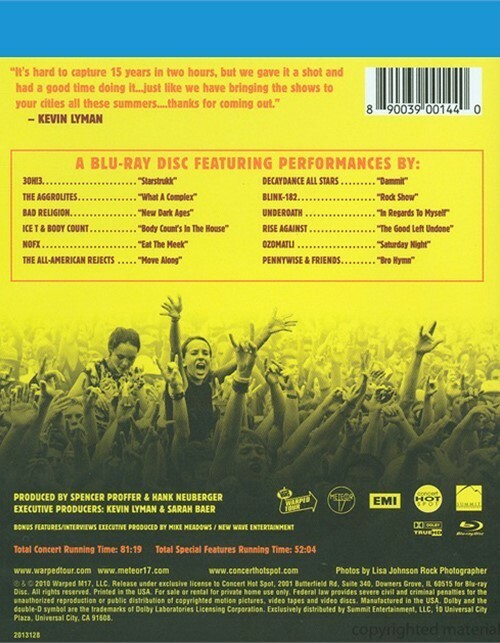 Now you can own the VANS Warped Tour 15th Anniversary Celebration in high definition Blu-ray Disc from the One Night Only September 17th, 2009 theatrical event featured in 450+ theaters nationwide. Featuring larger-than-life performances in crystal clear Dolby TrueHD by 3OH!3, All-American Rejects, The Aggrolites, Bad Religion, Blink 182, Ice-T, NOFX, Ozomatli, Pennywise, The Decaydance All Stars, Rise Against and Underoath. Get in on the action like you were there with special behind-the-scenes footage, exclusive interviews and red carpet clips on high definition Blu-ray Disc! 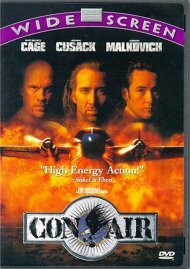 Join the 600,000 concertgoers that experienced Warped Tour last summer and celebrate the 15th Anniversary of North America's largest touring festival in crystal clear high definition on Blu-ray Disc. Music never looked so good. 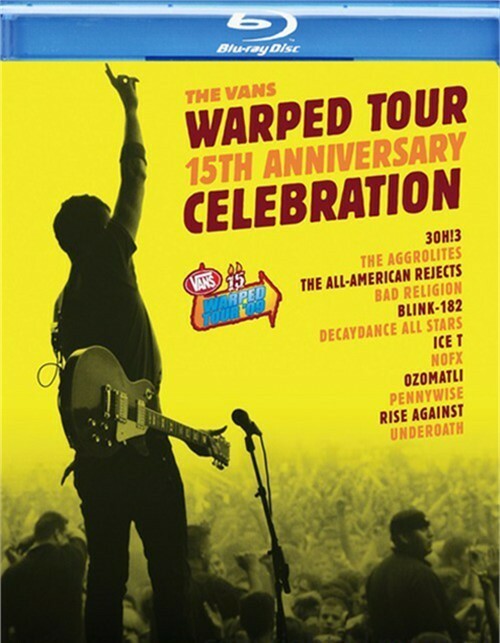 Review "Vans Warped Tour 15th Annivers"
Reviews for "Vans Warped Tour 15th Annivers"